Hello friends! How have you all been? Today I got another simple and easy and quick dish for you all. 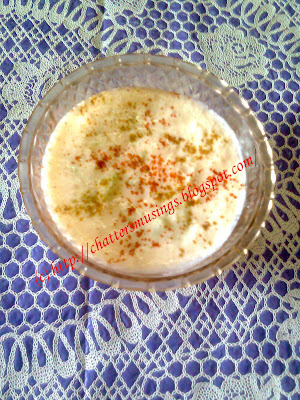 I have made easy cucumber raita with just few ingredients and you are free to modify it as per your liking. It goes well with pulaos and biryanis and plus in the hot weather it just acts as cooling agent. Try it and I am sure you would love it. Blend yoghurt/curd and add salt and sugar. Add water to get required consistency for raita. Make sure its not watery raita. Add grated cucumber mix well. Finally add chilli powder and cumin powder. Garnish it with coriander leaves or do as I did in the pic. Serve chilled. I havent given measurement of cucumber and curd. It would be as required. Enjoy and lets hear your lovely comments. 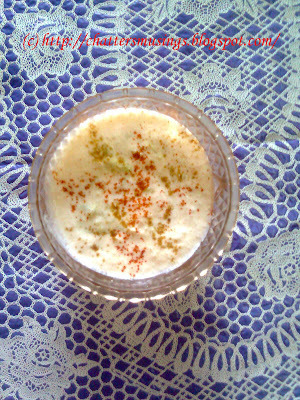 Thanks Meena for the cool cucumber raita, surely it would go well with spicy briyani ! 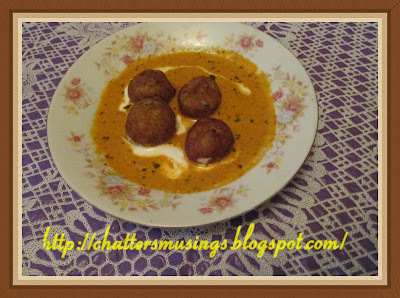 Meenu aunty :) Looks yummy yummy... My hubby's favorite :) Will do it for him dear. Yummy raitha, my daughter loves this..
Raita looks tempting. Mine one is simple yours is more flavorful. Easy but it tempts me dear. Absulutely yummy. 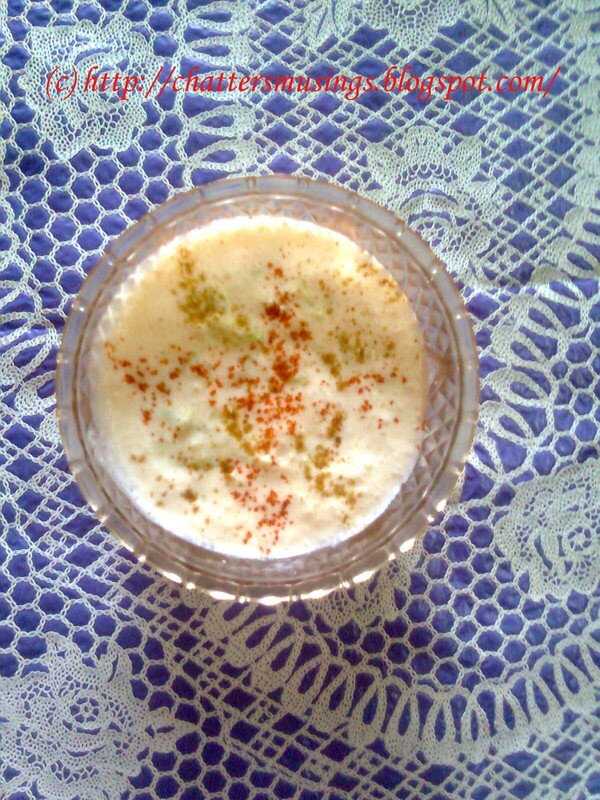 Delicious Raita love its cooling effect :) But I catch cold soon if I have this combo Meenu :( But i really love it!! 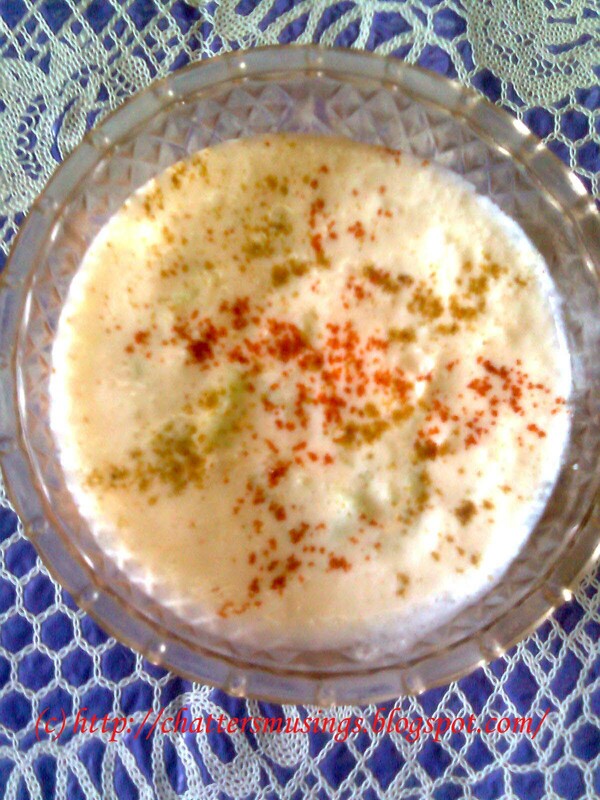 thank you all for liking this simple cucumber raita.. I agree with everyone....so perfect for biryani. It's making me crave the combo!! Today I tried ,simply superb.Thanks for sharing.